Today is world premature Awareness day, where the whole world can focus on the problem of babies being born too early. I always knew babies could be early but I never really thought of it, when growing up everyone I knew who had babies just had them. Now I am older and a little bit more wiser I understand now just how serious the problem is. 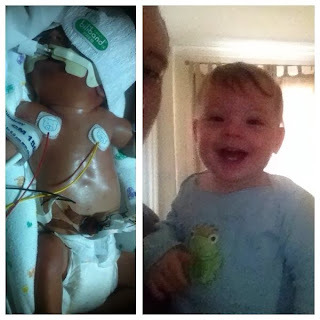 In 2012 I gave birth to my son Jared-David (18 months) this is our story of our preemie baby boy. I was 28 weeks pregnant and on the Monday I had a midwife appointment, I had a concern as my son's head felt really low down and it was more annoying then painful. As I told my midwife she wrote a few things down then said "It is nothing you will be fine, just go home and I will see you when I get back from my holiday" she didn't even examine me. I think maybe if she did then things might have been different. I didn't want to rush off to hospital as he was still kicking me and rolling about, I had thought to myself if he is still this low down in two days I will go to hospital. In the early hours (2/3am) of Thursday the 24th of May I woke up with bad pains across my belly, the pains felt like I just really needed a poo. I tried to get back to sleep but I was so uncomfortable and in pain. I finally woke Liam up and told him that I had been having these pains for about two hours he told me "Don't worry they will be them braxton things" I let him go back to sleep until 5am when I couldn't stand it anymore. I told Liam to go get some money out for a Taxi while I rang my mum who talked some sense into me going in an ambulance. The Ambulance got to my house at 6am and I got pain relief (I hugged the canister of gas and air all the way to the hospital). At this point I had no idea what was going on or that I was going to have my baby. I was petrified that I was going to lose my boy who I had felt kicking me and doing somersaults. We got to the hospital and to the maternity ward at about 6 (still hugging the gas and air). I was taken into a room, a trainee midwife was trying to find the babies heartbeat, I kept asking what was happening? is everything ok? is my baby dead? My question went unanswered and they told me my baby was coming and I needed to be taken to the labour room. The canister of gas and air was now all gone and I was sucking on nothing for about two minutes until I got into the labour room. My recollection of this is still fuzzy as I was away with the fairies a bit. Liam was sat in a corner and there was lots of Doctors, Midwives and Nurses in the room. There was what looked like a tortoise table in the room. At 6:20am my waters broke and at 6:24 my little boy was born. I still had no idea what was going. Liam has told me I kept saying sorry to the midwives for covering them in lets just say stuff. I heard a little cry and I knew my boy was ok he was alive and that was amazing. I didn't get to see my son for a couple of hours, I had a few problems and they wanted to make sure I was stable enough first. When I was ready we were taken round to see our little boy, I didn't know what to expect but as silly as it sounds I thought he would just be in a cot sleeping like most babies are when they have been born. What I saw scared me, he was in a room right near the nurses station so they could see him and get to him quickly if they needed. He was in an incubator called the giraffe, we were told he needed to be in this as it did everything and allowed them to monitor him without touching him. He had a tube down his throat and wires going through his belly button, machines bleeped constantly and numbers changed I just wanted to get away from it all. I couldn't stand there and watch my son possibly die!! I got better with dealing with the machines. Jared-David was in hospital for 12 weeks in that time he had had his heart massaged and several blood transfusions, he was on reliant on oxygen until the day before he came home. We always get asked how we managed with what was happening to our son. I don't know how we did we just did. The nurses helped and kept us informed on everything. We were also given a little diary that they had made so we and the nurses could fill in what progress Jared was making (It's an awesome keep sake and helped us a lot). We also had visitors which broke down the long 12 hours we would spend sitting next to his incubator. Some days I didn't go, I just couldn't face the constant beeping of machines and lack of privacy. I just wanted to hold my son without there being nurses looking at me and other parents, I wanted to read him a story without others hearing me. I could write for hours about our journey but I will leave it there. 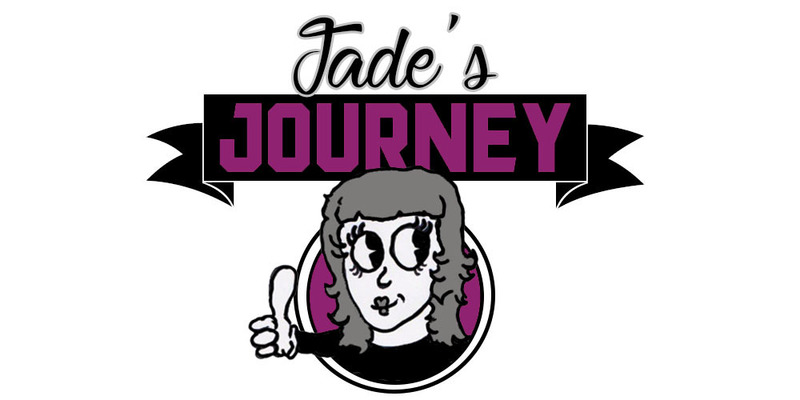 Please if any mum's or dad's are reading this going through what we did and just want someone to talk to about this situation then e-mail me (jadelikessheep2@gmail.com) I will always do my best to help you the best I can. That is Jared-David when he was first born and him this morning. Have a good day everyone and if you can pop on to the bliss website and give a donation.